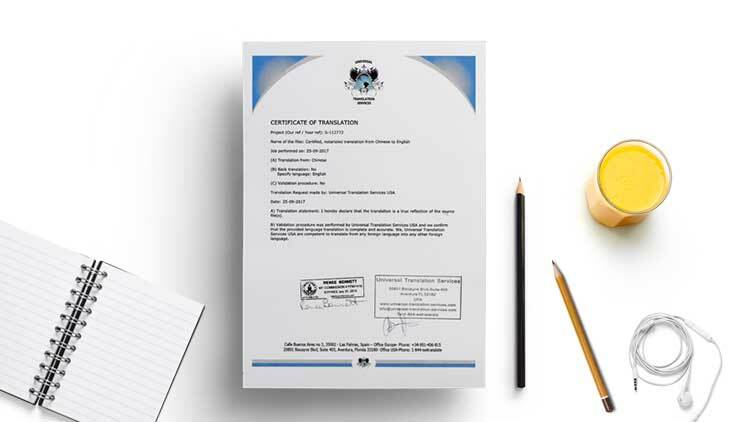 The certificate of translation is an official statement in which a translator confirms that he has accurately translated the document into the target language. A complete translation which the translator has certified as complete and correct and declared that he is qualified to translate the source language into the target language must accompany any foreign language document being submitted to USCIS. This article contains a certificate of translation sample in case you need one. While a translation by a certified translator or a certified translation service holds more weight, the translation may also be completed by anyone who is skilled in both the source and the target language, however, there is no guarantee such a translation will be accepted by USCIS. The certification or certificate of translation or the certificate of accuracy is a signed report by the translator or translation agency, declaring that the translated text is an accurate representation of the original text. For instance, while immigrating to the US, the documents requested by the USCIS should be in English or be translated into English (if in any other language), and the translation requires to be certified. 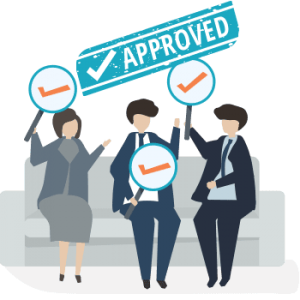 The certified translation has to satisfy the specification set by the United States Citizenship and Immigration Services which includes a formatted cover-sheet with a stamp and signature of the translator or translation agency. 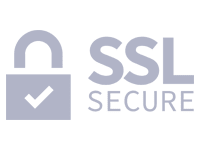 Certifying is essentially attesting that the translation is an accurate copy of the original document, to the best of the signer’s knowledge and understanding, via a statement and signature to that outcome. Often, a sentence declaring the translator’s competency to translate the languages involved is also part of this statement. Contact information for the translator or agency is also commonly included. We call the document that certifies the translations a certificate of translation. An instance of a certificate of translation sample follows. I, [name of the translator] declare that I am fluent in the English and Spanish languages, and that the translation of (birth certificate), related to (applicant’s full name), the original of which is in the Spanish language, is a complete and accurate translation from the Spanish language to English to the best of my knowledge. How do I get a certificate of translation sample? When you ask for a certificate of translation, you have to know the answer to some of the questions that a translation agency or translator will ask you. What country do you want the certification for? For instance, if you want your document translated into English, are you presenting this to someone in the US or to the US embassy or to USCIS? Is it to record you as a citizen or a business? Do you want it for legal cases? 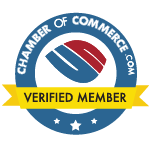 Knowing this helps the translator select the correct certification process for you. Any translation is acceptable to be accompanied by a certificate of translation, despite the document that has been translated. It can be anything from a marriage certificate or birth certificate to a complicated legal paper. Providing a translation by using the certificate of translation sample gives the client the proof that their translation is a true copy of the original document and this evidence can be shared with whoever wants to see it. 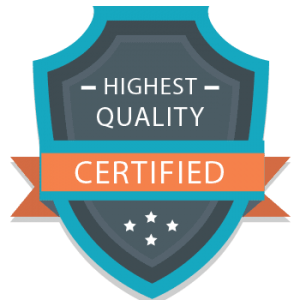 Were you looking for a certificate of translation sample or for a translation that is certified? We provide cheap certified translation services and all our translations are guaranteed to be accepted by the USCIS. If you need to have your document translated in 24 hours or less get in touch! What is an affidavit of translation?